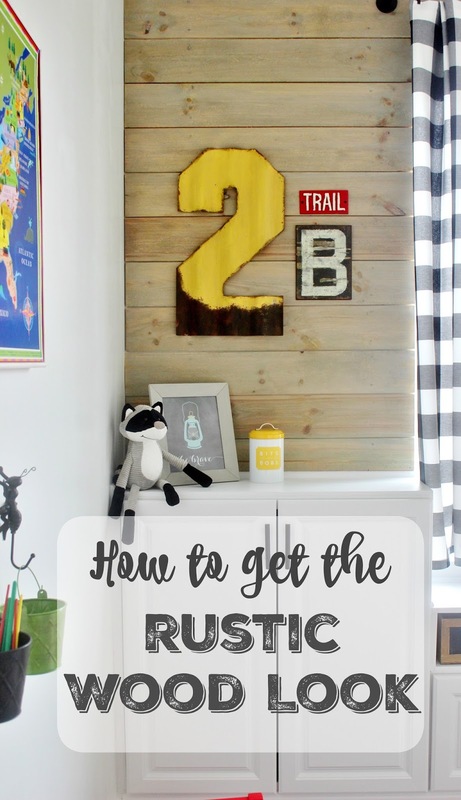 To say this diy rustic wood tutorial is overdue would be the understatement of the year! 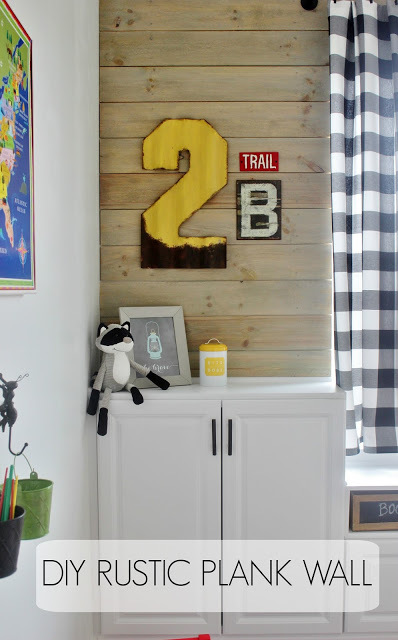 Every time I share a pic of our playroom's plank walls over on Instagram, I get questions about how we achieved the warm, rustic look. It's been a year and half since we finished this room, so I would say it's about high time that I share the step-by-step process, right? 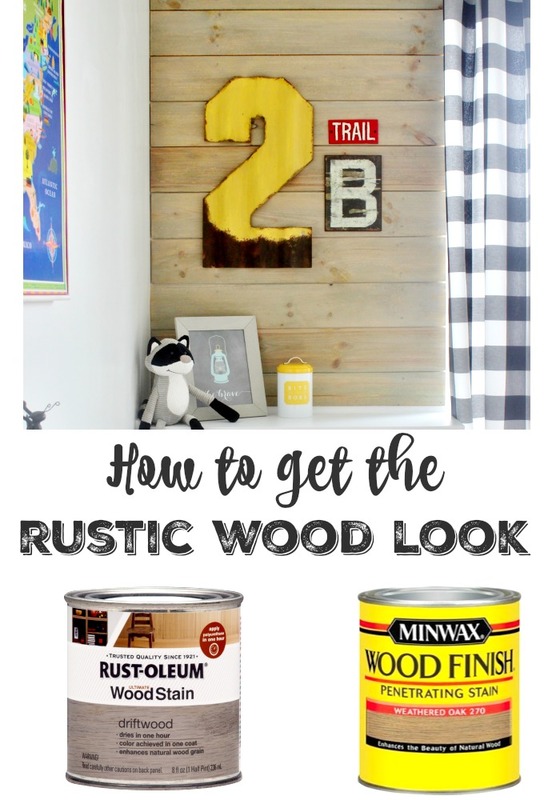 Well here you go folks, the easy way on how to create the rustic wood look with stain! I've used this stain recipe numerous times now on smaller projects like picture frames and wooden signs, I just can't get enough of it! This method produces a warm but light greyish driftwood finish that is just absolutely beautiful. Seriously, my pictures don't do it justice! There's no exact science to the stain concoction measurements. I basically eyeball it and just fill a plastic cup 1/2 Weathered Oak and 1/2 Driftwood and then stir. Before you get started on the staining, you'll want to give your wood a light sanding and then wipe it down with a tack cloth. After that follow up with a light coat of wood conditioner and allow that to dry for about 15-20 minutes. Then apply your stain mixture using an old rag or t-shirt, depending on your preference. Wipe the stain off right away if you're trying to get a lighter coat, or wait 5-10 minutes. I waited about 5 minutes before I wiped off our stain. Here's a shot of our bare nekked wood next to the stained wood. And here's a shot of the finished wall and how it stands today. Yes, the good news is our wall is still standing even after a whole 14 months of play dates that could rival the fall of the Roman Empire. I can't even put into words what this playroom look like after Little B's 3rd birthday party, BUT the wall, it still looks as good as new! I also stained the playroom's DIY light fixture the same color. 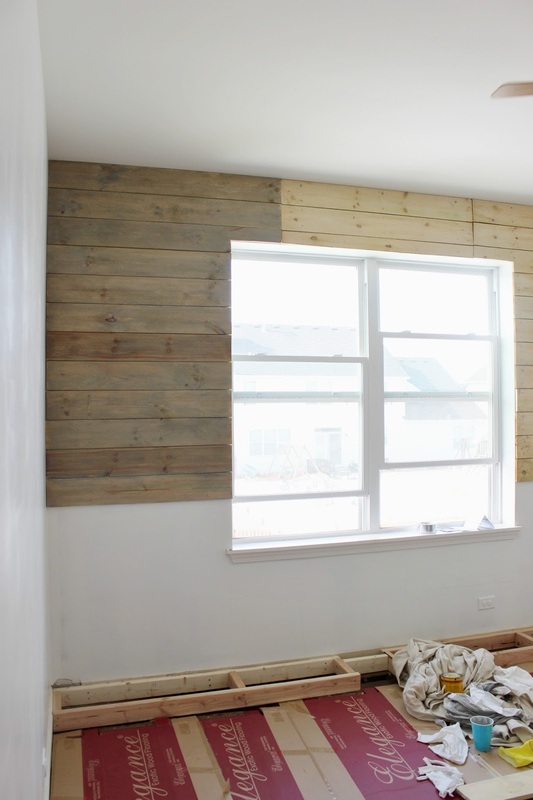 This wall definitely made the space feel more cozy and the wood tone contrasts so well with the white walls. Any stain combos you love? Mixing stain colors has quickly become one of my favorite things to do when working on DIY projects. I love the challenge of coming up with custom colors! 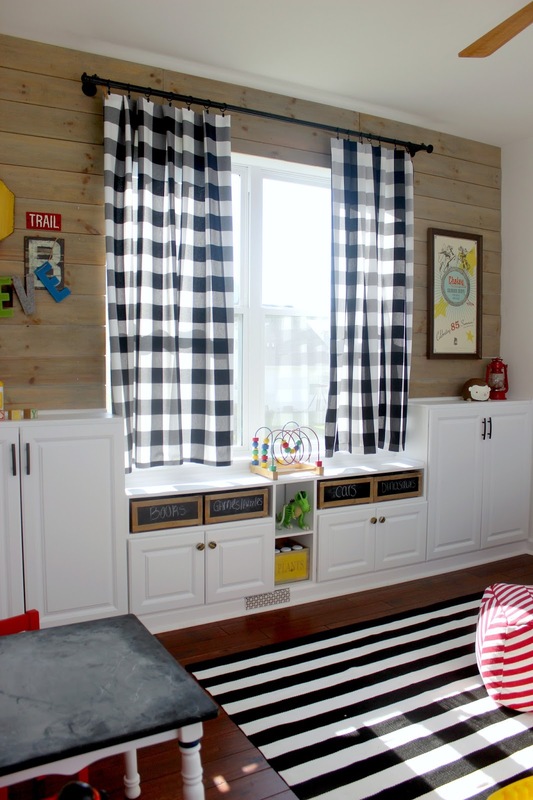 You may also want to check out our DIY Picket Fence Wall tutorial.